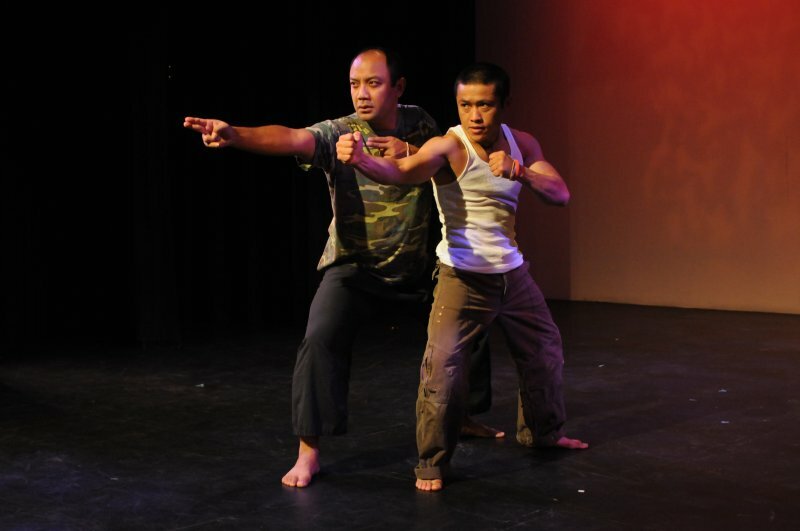 In 2010 Lao Americans Ova Saopeng, Leilani Chan and Lidet Viravong brought their play Refugee Nation to Intermedia Arts for a three-week run in October. 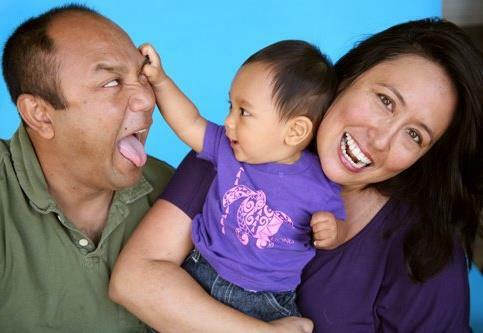 Nearly all of the shows were sold out and brought audiences to their feet as the trio captured the journey and the struggle of Lao Americans searching for their roots and identity. This April, Refugee Nation returns to Intermedia Arts with performances the weekends of April 10-13 and 17-20. They’ll need your help getting the word out to make it a success! We caught up with Ova Saopeng to discuss what’s happened to him and his family, as well as the changes Refugee Nation has undergone since we last saw them in Minnesota. 1) Can you tell us a little about yourself and your family? When did you all make it to the United States? My name is Ova Saopeng and I arrived in Hawaii U.S.A. back in ’79. I am the oldest and only boy of three kids. I grew up with my mother and two sisters after the passing of my father, who had suffered from Post Traumatic Stress Disorder as a former soldier with the Royal Lao Military. My mother is a survivor, leader and champion and…I take after her. My sisters are bright, independent and strong women. We all hail from Savannakhet, Laos. 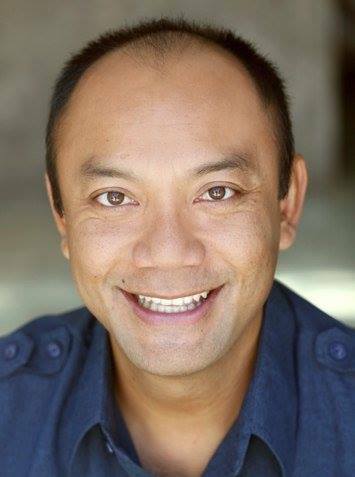 I am a performing and teaching artist based in Los Angeles. 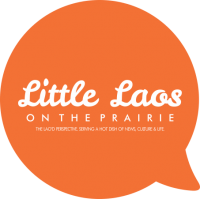 2) What are some of your favorite things about being a part of the Lao community? I have three favorite things. 1. The language. I love using pasa Lao whenever I get a chance. To hear and speak my mother tongue is such a joy especially living in a big metropolis like Los Angeles where I am always looking for a Lao connection. 2. The food. I love the unique cuisine we have from tum mak hung with bpa daek to gang kee-lek with kai moot dang. Lao food has a spicy, tangy, and exotic flavor all it’s own. 3. The people. We are a funny, stubborn, comical, emerging, thriving American community. Get Lao’d and Proud, people. 3) What was your favorite subject in school? What was the most challenging for you? I enjoyed school. My favorite subject was language and English. Every subject in school has been challenging for me and I wanted to master them all to the best of my ability but I realize that you can’t. Science. Math. Language. Arts. I believe all are important and that learning is ongoing in life, school is merely one stage in that process. I am inspired by my child. His innocence and thirst for learning. Observing him develop and grow as a human being fascinates me. I am inspired by nature. I live in Los Angeles where sea and sand, mountains and valleys are within reach. I am inspired by creative people who are vulnerable, talented, passionate, and wise. Everyone has some knowledge to share with one another. 5) What’s your favorite Lao dish? Gang kee-lek with kai moot dang or cassia leaf soup with ant eggs. Every time I visit my mother in Hawaii, I request this dish whenever it’s available. I can eat it all day and night. 6) What do you see as your next big project for yourself? I’m ready to write another play and perform in another film. I’m working hard to get into the TV commercial industry. Wish me luck in getting national commercials in the upcoming year, will you? 7) What advice do you have for young Lao who want to be successful? Believe in your abilities. Be grateful for your supporters. Trust your instincts. Give and share with others. Take action rather than wait. Failure is inevitable, it’s just steps towards success as long as you learn from it and move on. 8) It’s been 4 years since the last time Refugee Nation has been here. Has anything changed with the play, besides the addition of your new cast member, Nouthak? 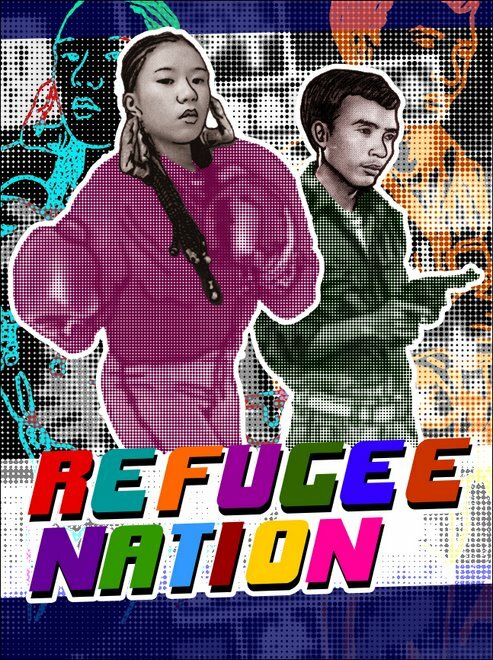 Refugee Nation has been rewritten and this new version showcases the talents of all three cast members: Leilani Chan, Lidet Viravong and myself even more so than before. The play weaves dramatic and comic scenes and will take you on a rollercoaster ride of emotions. We’ve incorporated more of the aspects of the Lao New Year Festival that is celebrated all over the world and is a staple of our community’s togetherness. Whether you’ve seen it before or for the first time…Refugee Nation will educate, engage and entertain. I guarantee it! 9) Do you have an example of a story you haven’t been able to include in Refugee Nation that you really wanted to include at one point? I’ve had so many surprising experiences meeting Lao people at random that I really want to write another play about Random Lao Encounters. For me especially in Los Angeles, I always have my Lao-dar on. Just recently I met a woman in my neighborhood. She is from Pakse and has a beautiful Blao (Black and Lao) toddler. I want to know more about the relationship of the Lao diaspora and the mixing of cultures which is prevalent in our American culture. 10) It’s 60 years since Laos gained its independence and recognition in the United Nations, but there are many who still have a hard time even defining what Lao is. In your own journey, what were some of the toughest challenges, and what would you say to a young Lao person who wants to understand more about our culture? The toughest challenges is filling in that empty space. The knowledge gap about our history. Who we are? Where we come from? Why it happened? How it happened? What went down to get us to this point…here in the present. The more you dig deeper the more muddy it can sometimes become but through it all you find gems…puzzle pieces that you fit in to make it more clear for you and for your community. We are a community shrouded in mystery. Keep on digging. Keep on pressing. Keep on progressing. In doing so you educate yourself and others too. 11) Family figures frequently in many parts of Refugee Nation. As a father now, has anything changed in the way you think about your performance compared to earlier productions? I love fatherhood and it bleeds into every facet of my life. As a parent I have a narrower perspective on life.Time is precious. Time spent with my son balanced with time spent rehearsing or performing. My life revolves around our relationship as father and son and what I’ve learned is that the more time I spend with him the more happier I am. I encourage all fathers to make time to play, teach and engage with your child every moment…because it makes a huge difference in their lives. I have empathy for the characters I play in Refugee Nation because the fathers and mothers did not have that luxury of time to spend with their children due to their circumstances. Children are influenced by their surroundings and who surrounds them more so than parents.Parenthood. It’s a monumental change. As both Leilani and I are performing arts parents we are challenged with finding childcare every time we perform together. If anyone in the community would like to assist with this while we are in Minneapolis contact me. 12) What’s one of the best things someone’s told you after seeing your play? I am always touched by the impact the play has had on audiences. I know I am doing my job as a performer. I know I am doing my job as a community member. I know I am doing my job as a citizen in this society. I am a valuable, integral part of our community. One of the best things to come from an audience member was a Colombian college student who shared how after seeing the play he identified with one of the characters and had the courage to face his own fears by confronting his Post Traumatic Stress Disorder. Talk about impact! 13) When are you most satisfied with a performance of yours? When I’ve given it my all. When my body is sweating. When surprising laughter or tears comes from the audience. When audiences appreciate the hard work that is put to making this play come to fruition. When I am on stage doing what it is I love to do.